It sounds simple: Wash your hands, save lives. But even something as easy and normal as washing hands is often lost on people, and it can have serious consequences. The Global Handwashing Partnership is committed to helping share the knowledge about the importance of washing your hands at critical times, and will use Global Handwashing Day as a platform to spread its message.We all know it’s important to wash our hands after…doing our business. But there’s even more we can do, especially in areas where knowledge on the spread of disease is limited, to make sure we aren’t spreading any microbes. The Centers for Disease Control estimates that good handwashing habits could reduce diarrheal disease-associated deaths by as much as 50 percent. So by spreading awareness around the globe, you can do your part to build better, healthier communities. The Global Handwashing Partnership has several resources to help you put together your own event on Global Handwashing Day. Everything you need to answer people’s questions, give demos, and share your stories can be found and downloaded on the group’s website, where you’ll also find more information and stats about handwashing. Global Handwashing Day has in part been so successful thanks to the internet and social media. Connect with others around the world leading events and awareness campaigns, and see the true impact of your efforts. The Global Handwashing Partnership also offers email lists and has an active social media campaign on Twitter, Instagram, Facebook, and YouTube you can follow. There is ample information out there about the effects of handwashing and how it could greatly reduce the spread of disease. CDC estimates show handwashing can reduce the risk of respiratory infections by 16 percent, and handwashing with soap could protect about one out of every three young children who get a diarrheal disease. Find out what else you can learn by doing a little research today. On the first Global Handwashing Day in 2008, more than 120 million children washed their hands with soap and water in 70 countries. Since this event, communities and organizations have built basic sink systems to help even more children learn the importance of washing hands. Now, more than 200 million people in over 100 countries celebrate the day. It sounds too good to be true, but researchers believe that handwashing could be a panacea for a number of issues. 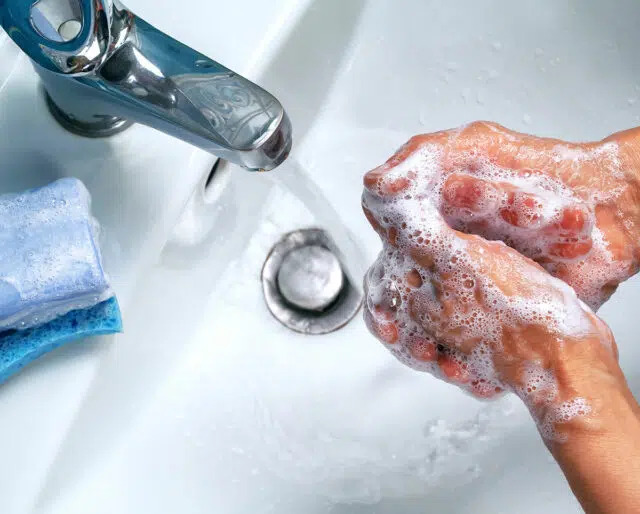 One study in London found that if everyone routinely washed their hands, it could prevent a million deaths every year. This means more than just after going to the bathroom — the number of food-borne illnesses could be drastically cut down. Washing hands is one of the easiest ways to stop the spread of disease, and there are plenty of ways to do it. One study found that something as simple as supplying a classroom with gel hand sanitizer can bring down absenteeism due to infection by about 20 percent. That can have a ripple effect, and keep a disease from spreading throughout classrooms and even schools.